NASHVILLE, TN – In this age, most of us have information all over the Internet. Facebook knows way too much about me, Amazon knows what I buy, and Southwest knows where I fly. Barnes and Noble knows what books I read, and my bank knows all my purchases. That said, I think we’d all agree that Internet security, in theory, is a good thing. But some legislation that creeps around Congress seems to do more harm than good. The Cyber Intelligence Sharing and Protection Act passed in the House of Representatives on April 26. The vote wasn’t even close; it was 248 to 168. CISPA now waits for debate in the Senate. So what’s this bill all about? You may remember our recent coverage of SOPA and PIPA, which dealt with copyright infringement. CISPA deals with privacy, and it could mean that the government has the authority to track our every move. It’s proposed as an amendment to the National Security Act of 1947, and it attempts to combat cyber threats. One vital difference between the current bill – CISPA – and the older bills – SOPA and PIPA – lies in how the companies are treated. SOPA and PIPA put the burden on businesses like YouTube, Facebook and Twitter to stop their users from sharing copyrighted information. In contrast, CISPA doesn’t threaten these companies. Instead, these companies can hand over our information to the government without a warrant. And further, we as individuals won’t know what information is being shared – it’s proprietary. Time Magazine published a breakdown of those who do and who do not support CISPA. The U.S. Chamber of Commerce, the Financial Services Roundtable, Facebook, Microsoft, AT&T and Verizon Wireless are among the supporters, although Microsoft later voiced concerns over the bill’s language. It’s no surprise that these companies are for the bill, as it’s not threatening their business. Imagine sending a text to your friend. AT&T will have the right to send that text directly to the government, and someone somewhere is aware of your actions and thoughts. Rep. Mike Rogers (R-Mich.)- the author of CISPA- many Republicans, and some Democrats also support the bill. President Obama has threatened to veto the bill if the time comes. The bill’s biggest opponents are Ron Paul (R-Texas), the Obama administration, the Electronic Frontier Foundation, the American Civil Liberties Union, and Congressional Privacy Caucus co-chairmen Reps. Joe Barton (R-Texas) and Edward Markey (D-Mass.). Barton and Markey proposed an amendment that would have restricted the government from using the bill’s powers for anything other than thwarting cyber threats, The Hill reported. The amendment did not pass. What people are concerned about is what the bill does not say. The bill doesn’t say clearly what a cyber threat is. The bill doesn’t give many limits as to how or when the government can watch our browsing history. Many people worry that this bill may intend to thwart cybercrimes, but instead it will give the government and corporations free reign to monitor our every cyber move. The hacker group Anonymous uploaded a YouTube video calling American citizens to action. The video urges us to protest CISPA and its supporters. Between May 1 and June 30, Anonymous blocks off dates to protest specific companies. Protestors are asked to go to the business’s closest location or the busiest location in town. Walmart, Target, Intel, Microsoft, Verizon, AT&T, Chase Bank, Visa, Bank of America, CVS, Coke, Pepsi, American Express, MasterCard and McGraw-Hill are among the businesses targeted for their support of CISPA. I agree, Behzad. It\’s a very sensitive subject. There are obviously instances where sharing information could be helpful for security, but there is also room for abuse of this power. Thanks for reading. 🙂 It will be interesting to see how internet security evolves over the coming years. 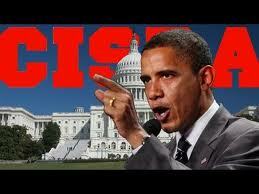 IT\”S HARD TO SAY FOR ME, BECAUSE I HAVEN,T FELT ATTACKED BY THEM, BUT I ALWAYS CONCERN WITH CISPA. Very delicate matter, in one hand you can say this kind of information sharing increase consumers welfare and make practical data bases for producers and prevent of cyber attacks but on the other hand we can not reach to the same definition of security, but in general I\’m always suspicious to political power.